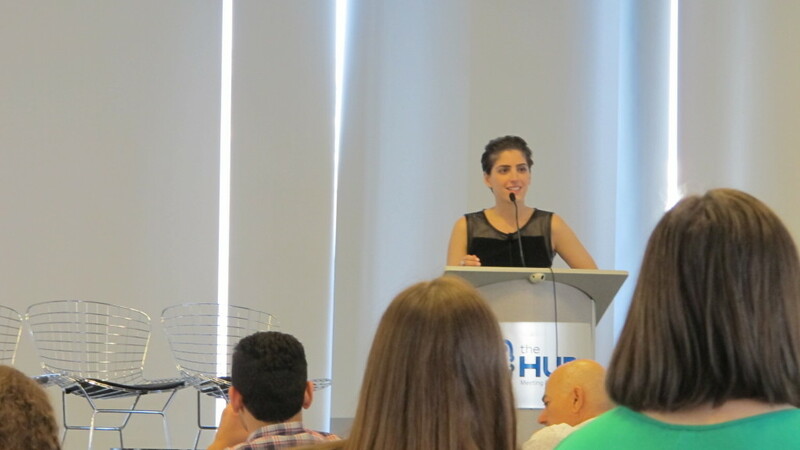 Suleika’s speech has the potential to serve as a conversation starter for those who want to share what it’s like to be a young adult with cancer experience. Dakota, one of YACC’s co-founders, took note of the quotes (in orange) that particularly resonated with her throughout the keynote speech and added her own commentary (in teal) with the hope that it will provide her network with insight into her cancer world (and possibly explain why she was so excited to have Suleika speak). The list of quotes is lengthy due to Suleika’s impressive ability to incorporate so many critical pieces of the young adult cancer puzzle in an hour’s time and Dakota’s commentary isn’t novel but, that’s the point, these concerns aren’t isolated cases, they’re the reasoning behind the young adult cancer movement. Please feel free to take or leave the following and let us know what quotes resonated with you! “I was really excited to enter the ‘real world’…but, the real world I found was not exactly the one I had been hoping for”–This was the first quote I jotted down as I, and am sure most of the room, identified with this harsh reality. My cancer diagnosis greeted me immediately after graduation and certainly quelled any lingering undergraduate romanticism of the “real world” I had eagerly anticipated entering. As Suleika expanded upon her comment, what struck me was that I had assumed she was referring to discovering the unforgiving world of medical issues. This was a much needed reality check for me as I was so consumed with health related concerns that I completely forgot about the challenging realities twenty-somethings regularly face today. “‘Yeah, me too, I’m exhausted…and hungover.’ Exhaustion when you’re a recent college graduate is not that novel of a symptom.” –Herein lies one of the most detrimental problems in healthcare for young adults. We’re supposed to be invincible and often times, early symptoms are fairly innocuous so, we (medical professionals included) tend to dismiss them as the aftermath of a late night out with friends or adjusting to a new environment. After all, we’re not supposed to be seriously sick so why would it even be on our radar? “They didn’t feel that [test] was necessary for someone of my age” –Our age often works against us in the diagnosis process. I was told I didn’t need an exploratory colonoscopy right away because I was young and healthy. When I finally got the colonoscopy, it revealed immediately that I was only one of those things. “On May 2nd, 2011, nothing of note was happening in the headlines that day but, my world was about to change.” –That date, it sticks with you. It slices through you, perpetually separating you from pre-diagnosis you. Sure, sometimes, the further out you get from it, you forget its anniversary until the day after but, on the years you remember, you don’t quite know what you’re supposed to do or think. How do you commemorate a day that wrought unexpected, unwanted, and permanent change? I also like how Suleika contrasts the cataclysmic significance of this day for her with the ordinariness of the same day for the rest of the world. “Why is this happening to me? …I was a straight “A” student, I always tipped 20%, I was 22 years old…but, none of that mattered…” –I smiled when Suleika said this as I had the same exact thought process and actually had just written about grappling with the existence, or lack there of, and expected benefits of rules in the context of my disease here. “I felt infantilized but, at the same time, I had no choice but to grow up fast.” –Another striking contrast in the young adult cancer world, reverting to that child-esque phase where you no longer can take care of yourself and yet, simultaneously contending with serious issues most don’t deal with until way later on in life. “Nurses who meant well would ask me ‘what do you do?’ and I didn’t know how to answer that question because I wasn’t a student anymore but, I really didn’t have a career so I was just a cancer patient. It’s an annoying question for everyone in their first year out of college…but, especially for me.” –I dread getting asked this standard question. Despite being in the middle of an incredible adventure, I nearly cried every time I had to list my occupation as “unemployed” on the customs forms required by my post-diagnosis SE Asia travels. Sometimes I loathe the gaps my disease has inflicted on my resume more than the masses its wrought on my body. “I like to call young adult oncology its tweens, they’re just a few years too old for pediatrics but they’re decades younger than other patients in the oncology ward” –This is why YACC exists. “Going on Facebook for me was a very stressful and lonely activity.” –Agreed. Catching glimpses of friends’ grad school and first job expeditions, their ever-changing relationship statuses, and even just (and sometimes especially) their everyday mundanity while dealing with treatment decisions and thwarted plans was/is painful and jealousy inducing. Social media is synonymous with today’s young adulthood but, it’s tough to handle when what’s depicted on social media isn’t synonymous with your life and when what you have to “share” makes others uncomfortable. “I’m sick, not retired” —Another succinct reminder that just like hobbies, cancer in early adulthood is different than that in adulthood. Also, witty, comical “keep to yourself” responses to a healthcare system not designed for young adults are not limited to New York Times writing young adult cancerers, it’s an entertaining skill most pick up! “It was a way for me to stay connected to me when the person staring back to me in the mirror was changing dramatically every day…it was a job that wasn’t just trying to survive.” —Two important sentiments here. There can be such a desperate need to cling to your pre-diagnosis self but, discerning what is inherently you in the face of unwelcome and often uncontrollable internal and external change is a trying task requiring periodic bouts of scrutiny. In a fit of depression, I thought I lost my fundamental love of travel and didn’t realize that even cancer couldn’t overshadow my travel bug until I found myself hundreds of miles high in the sky (both literally and metaphorically). Secondly, most young adults have experienced the pressure to survive a job but, sometimes, surviving is the job and in those cases, you worry about whether or not you’re just alive or actually living. “The word ‘clinical trial’ scared the crap out of me…I didn’t want to be a guinea pig, I wanted a cure.” –For all of my science-minded friends, this is always worth keeping in mind as it’s a common reaction. Even (and perhaps especially) having previously assisted with clinical trials from the provider side and being aware of their benefits (but, also their systemization and ethically controversial standard protocols), I have embarrassingly resisted participating in the few available clinical trials. In a clinical trial, PI’s and their clinicians are excitedly charting new territory while patients are still dealing with their same disease, this time as depersonalized numbers and expendable test subjects. This quote also alludes to the blurred line between the hope and uncertainty as well as gratitude and resentment involved in a clinical trial. “As I was scouring the internet, the young adult [cancer] voice was missing from that landscape”—While this is slowly changing thanks hugely in part to Suleika and organizations like Stupid Cancer, relatively speaking, this still is the case and it’s disheartening. You will eventually come across Suleika’s writing but, after devouring her prolific pieces, you inevitably want more, not because her writing is unsatisfactory but, because it confirms that you’re not alone. It’s one thing not to find someone down the street from you but, imagine not being to able to find someone like you anywhere on the expansive internet, a major asset of your generation where millions of people share diatribes on perceived dress colors. This magnifies the isolation even further. “…and I started reporting from the front lines of my hospital room on a very different kind of revolution.” –I’m in the “not a fan of the usage of war metaphors in cancer’s depiction” camp but, I’ve always liked this line of Suleika’s because it describes young adult oncology’s state as it currently is and needs to be, a revolution. There’s tiresome work ahead as we must confront and modify the healthcare system from the ground up in order to assert our presence in it but, in doing so, we become part of a movement that extends beyond our individual cancer experience and has the potential to transform that of our peers. “[‘Life Interrupted’] opened up this whole world to me…mostly in terms of a vibrant cancer community…” –Just as you remember your diagnosis date, you remember when you first discover this community, it’s invigorating and incredible. “I’d be lying if I said the transition out of cancer has been all good” –In addition to her honesty, “transition” is the key word here. There’s this pervasive misconception that you’re done with this cancer business the second there’s no evidence of it in your body when in reality, there’s still so much to contend with mentally, physically, and financially. Dealing with cancer when everyone assumes you should be past it can feel more challenging than doing so in the thick of treatment when your network knows you’re in need of some support. “There’s all of this collateral damage that we don’t talk about, we focus on the treatment or cure but, don’t talk about the other things that go on…and those are just as important because what is the point of saving a life if that life isn’t a good one” –For medical professionals, caregivers, and young adults with cancer alike, this is probably one of the most important takeaways from Suleika’s speech and cancer itself. Suleika does such a phenomenal job of talking about this and the above quote that I would be remiss in not strongly recommending that you check out her most recent NYT article (If you’re only up for reading one of her articles because you just made it to the bottom of this young adult cancer commentary, this would be the one I’d suggest…although I can’t promise that you won’t want to read more of her articles after you get through it). “The future is a scary place” –As I think most keynotes try to aim to end looking ahead, I liked that Suleika snuck this into her final remarks and referred to thinking of her life in terms of a five year plan as a luxury that she no longer had. It’s tremendously tough to convince yourself to start planning again when you’ve seen your best laid plans derailed by cancer at the very time you’re supposed to start independently acting on them and even if it’s feasible to again forge ahead along a similar path, you’re left feeling disoriented and suddenly unsure of the right direction for your life. Again, it emphasizes the permanent, unforeseen, rarely discussed change cancer inflicts and helps explain our post-cancer diagnosis outlook on the present day. Sometimes we’re extra anxious, discouraged, broke, busy, free, grateful but, ultimately, we’re twenty-somethings trying to figure out life hyper-aware that we have no idea of what tomorrow holds. “I had no interest in making ‘cancer friends.’ I didn’t want to go to a support group, I wanted to be normal…” –Yes. I had the same exact reaction and find it mildly entertaining that I so adamantly opposed letting cancer infiltrate my social circle and now, I co-run an organization dedicated to doing just that on a larger scale. To be fair, I still don’t have “cancer friends,” I just have a lot more friends who can relate to what it’s like to be young, just not so invincible in addition to my propensity for skipping dinner in favor of dessert. “I wouldn’t be alive today if it wasn’t for a cancer community like this one” –I’m biased but, I feel the same way. Below are quotes from the Q&A. Most things I picked up on as we conversed about cancer with Suleika ironically center around the intricacies of conversing about cancer which is an issue especially prevalent in the young adult cancer world. “What’s the most memorable time you played the proverbial “cancer card?” –Although Suleika already demonstrated this with the periodic moments of levity throughout her speech, I loved that I got to ask this question because it demonstrates that it’s OK, and sometimes highly therapeutic, to occasionally laugh when talking about cancer given that cancer can lead to some pretty ridiculous situations. While most of my entertaining cancer anecdotes tend to fall flat outside of YACC, everyone, regardless of their cancer history or lack there of, seems to appreciate cancer card stories and fortunately, pretty much everyone who has had cancer has a cancer card story. “The unfair truth is that it’s often up to the patients [not caregivers] to set the tone of that conversation” –I was sitting on stage with Suleika at this point and had to stop myself from staring at my personal caregiving team in the audience and nodding emphatically in agreement with this comment. Second only to the physicality of cancer, figuring out how and when to appropriately talk about your cancer experience is one of the most challenging components of a cancer diagnosis. Rarely do friends bring up the cancery elephant in the room on their own. Consequentially, the conversation turns into a massive guessing game where the responsibility falls on us to discern our friends’ comfort level and interest in talking about cancer from very limited queues. On top of actually having to deal with cancer and its aftermath, we also need to become mind readers so that we can communicate the information others want to hear about our experience? C’mon, that is unfair. If there is any advice I could give you, it would be to take comfort in the fact that there’s no “right” way to talk about cancer and the approach varies even within the cancer community so, join the conversation on your own volition! Communicate your questions, interests, needs, and experiences and we’ll do the same and gradually, the conversation surrounding cancer will become less awkward and more organic (and as an added bonus, you might start appreciating the humor in our occasional cancer jokes)! “Nobody told me that my chemotherapy treatments were going to make me infertile, I found that out online… I think I was more upset about the infertility than the cancer treatments” —This unfortunately is not an isolated incidence and is one of the major problems plaguing young adult oncology. For people diagnosed later in life who are past childbearing age and/or have already started a family, fertility complications aren’t a relevant issue so they don’t factor into the discussion about treatment options. As Suleika mentioned, doctors are so focused on treating your cancer that sometimes they forget that while that’s a huge concern, you have additional priorities in life beyond cancer and those priorities differ from those of older, more established patients. Medical professionals, please don’t leave fertility out of the cancer conversation with your younger patients and young adults with cancer, remember that your doctors work for you so don’t be afraid advocate for yourself! “I didn’t want to be anyone’s inspiration anymore. I was angry…” —As if Suleika hadn’t already covered so many crucial sentiments felt by young adults with cancer, she managed to end on one of the biggest. The terminology of cancer is tricky with its war metaphors and endless emphasis on positivity and strength. People automatically ascribe strength and inspiration to the cancer experience which creates this immense expectation for people dealing with cancer who don’t always feel or want to relate to these terms. Just getting out of bed doesn’t always merit accolades and doing what you need to do in order to try and live your life isn’t inspirational, it’s in fact ordinary behavior practiced by most of the world. It’s not that I don’t want to be an inspiration but, I want to earn the title, not just falsely acquire it in conjunction with my diagnosis. For this reason, I am hesitant to label anyone’s cancer experience as inspirational but, I can’t deny that Suleika’s approach to cancer has indeed served as an inspiration to me and for a moment after her above confession, I felt guilty for imposing the same lofty expectation on her that I so resent. However, I ultimately found this comment, along with most of what she said in her speech as well as what we talk about at YACC, reassuring as it reminded me that I am not alone in my thoughts and reactions, no matter how crass, bizarre, enraged or inspirational they may be, to my cancer experience as a young adult. Suleika Jaouad is the critically acclaimed New York Times “Well” author of the column “Life, Interrupted”, which chronicles her journey as a young woman living with cancer. An award-winning video series accompanies the column, which earned Suleika the 2013 News & Documentary EMMY award. Suleika graduated with highest honors from Princeton University in 2010. Shortly after graduation, at age 22, Suleika was diagnosed with myelodysplastic syndrome and acute myeloid leukemia. After almost three years of chemotherapy and a bone marrow transplant she is finally cancer-free and continuing to make the most of a life, interrupted. 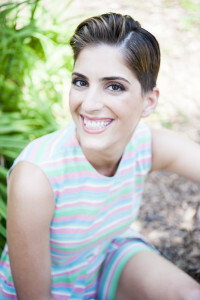 Suleika is a young adult healthy living advocate, motivational speaker and cancer warrior, who speaks and writes about topics including patient advocacy, nutrition, sexuality and relationships. A strong and powerful voice for the young adult generation, Suleika has been featured in The New York Times, Glamour Magazine, Women’s Health, NBC’s Weekend TODAY Show, NPR’s Talk of the Nation & All Things Considered and Everyday Health among other numerous media outlets. Are you like us and loved hearing everything Suleika said at Cancervention? Saunter over to her site and learn more about her young adult cancer advocacy voice!